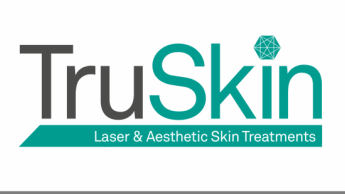 At TruSkin we use the latest laser technology available for Laser Tattoo Removal: the Superbium Bios Nd:YAG Q-Switched 1064nm is one of the most up to date and powerful lasers on the market, ensuring optimum results every time. Until recently, tattoos were removed by using dermabrasion to scrape off layers of skin until all the pigment had been cleared, but this often left scars, or imprints of the original tattoo. Another option was surgical excision of the tattooed area followed by stitching the wound or grafting it with skin from another part of the body. However, both of these methods were painful, expensive and often caused a high degree of scarring. Fortunately, over the last couple of decades laser technology for tattoo removal has been greatly advanced. Thus, leading plastic surgeons and dermatologists now regard lasers as the best method for the safe removal of both amateur and professional tattoos. Laser treatment does not cut or burn the skin but by selectively targeting the tattoo pigment using very short pulses of high power laser light through the skin, the ink particles are given a burst of heat energy which causes them to shatter into thousands of smaller, microscopic particles. These can then be effectively absorbed and taken away from the skin by the body’s own immune system or white blood cells. Do all ink colours disappear equally well? No, darker colours like black, blue and red clear the best, whilst oranges and purples also usually respond nicely. However, green, blue and yellow inks tend to be the most difficult to remove therefore we do not offer tattoo removal on such colours - white inks are totally unaffected by laser traetments. Lasers do cause some discomfort but usually no more than being snapped by a rubber band. In fact, most patients equate the pain of tattoo removal with the pain of actually getting the tattoo done in the first instance. However, some areas can prove more sensitive than others, especially around the ankles or the shoulder blade. Fortunately, the discomfort does decrease as treatment progresses and the tattooing fades. In our experience most patients will tolerate the discomfort of treatment very well but local anaesthetic creams are available if required. After each treatment there is usually an instant whitening of the skin but this generally fades quickly. The area is likely to feel tender for a few hours once the initial hot pricking sensations have settled. Sometimes the treated area can appear red and swollen for a couple of days. Some tattoos will form a graze but this must be left to heal naturally. You might find that the tattoo initially looks no different but allow 4-8 weeks after each treatment for the body to disperse the broken down ink pigments. Very occasionally, there can be some superficial blisters of the treated area but this is quite normal and does not indicate potential scarring. The blistering requires no treatment apart from keeping the area clean and cool for a few days. No, whilst the skin may not be instantly perfect, there are usually no long-term scarring or pigmentation issues. One finds that there are occasionally mild changes in skin texture for the first few months of treatment but this gradually settles and fades back into normality over time. Moreover, darker-skinned patients may notice some lightening of the skin. This again usually returns to normal over a period of 6-12 months. Thus, we prefer to use the Q-switched Nd:YAG laser for tattoo removal in darker skins as there is less risk of de-pigmentation. Is there any special aftercare? We strongly recommend keeping the treated area clean and cool for the first few days and also urge the use of a sun block SPF 30 between sessions. This is difficult to gauge because it depends upon several factors, including the age of the tattoo, the size and the precise location on your body, the density and colour of the inks used and whether it was a professional or amateur tattoo, etc. Generally, most amateur tattoos can be safely removed within 6 sessions but professional tattoos may require over a dozen treatments. We normally recommend that treatments are spaced at 4-12-weekly intervals to allow time for your white cells to mop-up the dispersed, broken down ink particles. In most cases, yes but unfortunately there are hundreds of different ink types across the world and sometimes they are even mixed with other compounds. Thus, it is impossible to predict accurately the degree of removal of any given tattoo.